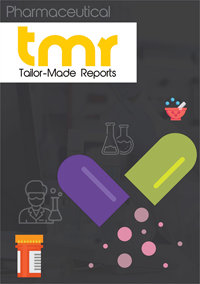 The global pharmaceutical analytical testing services market is poised to soar owing to the rising demand from pharmaceutical manufacturers and raw material suppliers. Delivering comprehensive pharmaceutical services in manufacturing and development have become the key concern of several companies. Numerous service providers are offering services such as pharma solutions, packaging, residual solvents, stability testing and storage, method validation, dissolution, raw material testing, leachable or extractable testing, and retrospective method validation. A major trend observed in the global pharmaceutical analytical testing services market is outsourcing. Absence of the necessary set-up for performing every test in-house is one of the key reasons for outsourcing. The best method for handling tests such as process and facility validation, registration stability storage and testing, analytical testing that deploys expensive equipment, cleaning validations, and method development is outsourcing. Outsourcing to a specialty company provides experience and expertise in this domain. It also aids in bringing down the costs of maintenance, equipment, and validation. As a result, outsourcing is likely to contribute towards the expansion of the global pharmaceutical analytical testing market. The clinical bioanalytical testing segment is slated to grow at a considerable pace during the forecast period, attaining a significant share of the global market for pharmaceutical analytical testing services. The factors responsible for the growth of this region are stringent regulatory framework applicable to drug discovery and the rising number of clinical trials driven by the increasing incidence of diseases. With the advent of several technological advancements, numerous new solutions are being developed. For example, in March 2017, a cost efficient system that enables pharmaceutical label-free ultra-high throughput screening has been launched by Bruker. The pharmaceutical industry has been increasingly deploying NMR fragment-based screening method, which has been incorporated into Bruker’s new software. Increased efficiency, productivity and reliability are some key features of this screening method. Pharmaceutical analytical testing services are services offered to several pharmaceutical manufacturers, product manufacturers, and raw material suppliers. The need for increased efficiency and cost reduction by pharmaceutical companies has led to the rising scope for outsourcing analytical testing services. Currently there are a number of companies focusing on providing comprehensive pharmaceutical manufacturing and development services such as manufacturing and packaging, pharmaceutical development, analytical testing services, and pharma solutions. Service providers are also offering several pharmaceutical analytical testing services, such as method development/ method validation, stability testing and storage, raw material testing, residual solvents, dissolution, retrospective method validation, and extractable/leachable testing. The market for pharmaceutical analytical testing services has been analyzed by taking into consideration the revenue generated by various analytical testing services such as raw material testing, stability testing, and method validation and testing. The report gauges various trends in analytical services across four major geographies: North America, Asia Pacific, Europe, and the Rest of the World (RoW). Some of the leading pharmaceutical analytical testing service providers are Pace Analytical Services, Inc., Intertek Group plc, Aptuit, Inc., and West Pharmaceutical Services, Inc. The vendor landscape of the pharmaceutical analytical testing services market has evolved over the recent past owing to rising mergers, strategic parternships, and downsizing in the pharma sector. In addition to this, increased focus on strengthening internal core competencies and the rising need and demand for faster analytical response fuel the market for pharmaceutical analytical testing services.